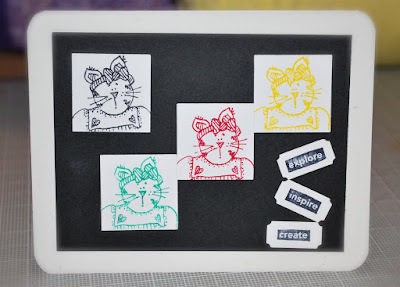 Shelley Bean: Design Team Wednesday-Cute Critters! 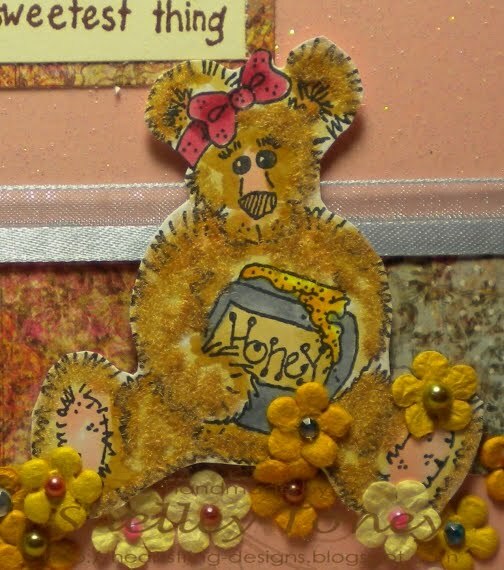 My little bear is lightly colored with Copic markers, and then I applied a coating of Fun Flock by lightly adding zig 2-way glue and sprinkling the fun flock onto the image then tapping the extra amount off and back into the jar. It created a fuzzy surface. So fun! I also applied many, tiny flowers that I purchaced from Paper Patch Crafts and topped them off with a variety of bling. I really like this card! 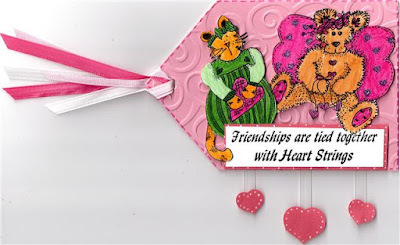 Over at Scrapbook Flair, Pam has another adorable creation to share. Check her out for all the details. 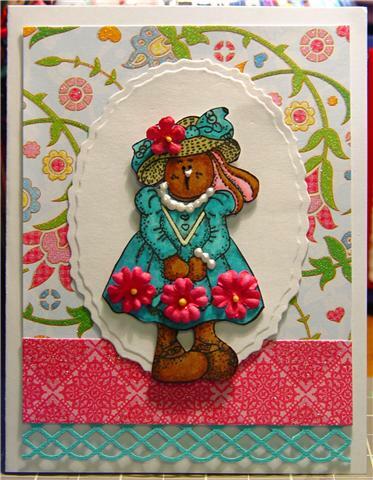 Anne at Paper Patch Crafts has made a very colorful and fun card. Follow her link to learn more about this and many other helpful and fun tutorials. 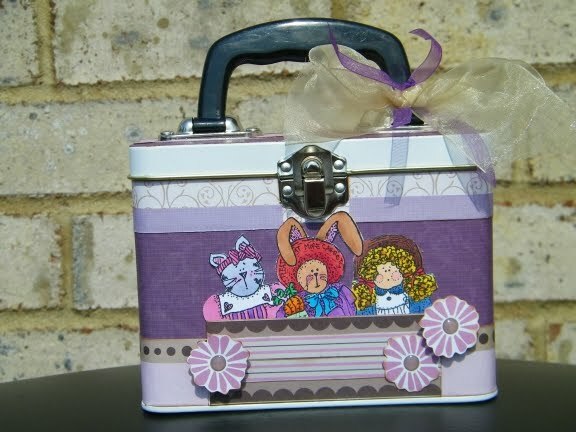 Please check out Beth's adorable creation at Stinkin' Sweet Scrappin'. She also is offering a giveaway! We all LOVE giveaways!! Madison has been busy creating something special to share. Please check out her fun blog at Funky Cards. Mariam has another cute card to share with us. Please check her out at Mariam Satchell! And last, but certainly not least, Gaby is sure to have something fun to share with us. At the time I put this post together she was still keeping it a secret...but you can go find out now at Scrapbookaholic. I am sure you have enjoyed all of these designs as much as I have! We don't have a challenge to issue this time, but if you become a new follower, you will keep updated on all the challenges and giveaways we have going on. Plus, if you would like to become a facebook follower, I have something special coming up with a prize involved for those that want to participate. Stay tuned!!! Shelley, I LOVE YOUR CARD! Very super stinkin' cute. I just want to touch that soft and cuddly teddy bear. I love all the details that you did for this card. How funny is that we used the same bear and sentiment. Everyone did a fabulous job for this cute critter. Shelley love the card and the idea of using fun flock. How cool. Great projects, I am going to go start hopping around. I love the bear and the Fun Flock. I will have to get me some. I have been thinking about makeing a card with bears and this would be so great. Where did you get the bear stamp? Love it!!! so darn cute! I love the bear with the fun flock. Thanks for explaining what you did. The card is SUPER cute! I just read your post on Facebook.. are we supposed to leave a comment HERE for the "drawing" for a ONE free stamp?? Thanks. fun flock is awesome! I TOTALLY LOVe your card!!!!!!! Good dispatch and this mail helped me alot in my college assignement. Thanks you as your information.